i am in the process of building a 98 gt with a 04 pi motor what do yall think about these email tunes . as i dont have time to go to a dyno shop.i need some input.thanks in advance! They work well. All they do is send you a dyno proven tune from their files. Most tuners use the same files and then tweek them on the dyno. 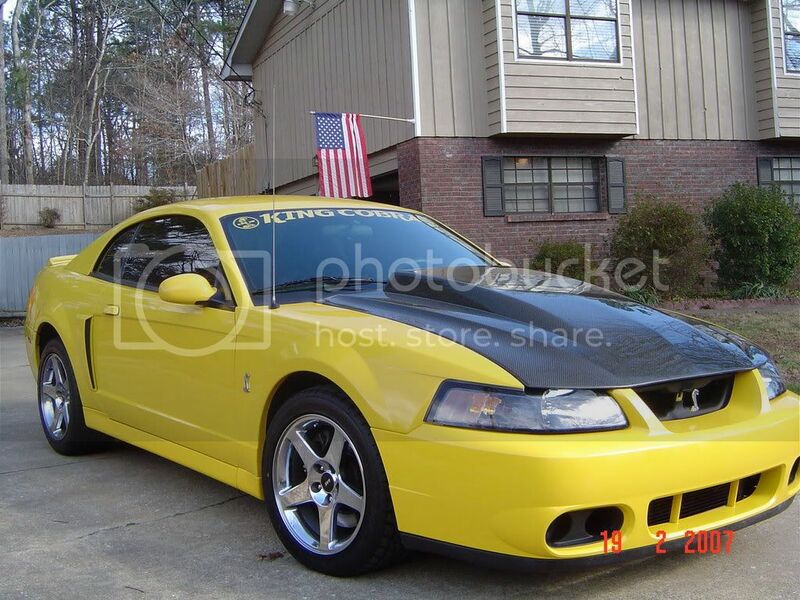 The tune for my Cobra was done by RWTD and sent via email, then I verified it was OK on the dyno. After the ported blower I had some pinging issues in cold weather, and it took a couple more tries to get it dialed in. Last edited by TheJeanyus; 03-06-2012 at 09:21 AM. I had real good luck with one from mph but they closed down. But jeff at mo's speed shop can help u! On my 08 I used email tunes and it seem to work just fine. After I got my stage 2 cams in the 08 it took them 2 times to get it right but they got it. I wouldn't be afraid to use them. I was using American Muscle/Bama Chips. Just your average 92 Coupe with a Cam Only 302! Drive it like you stole it because everyone dies but not everyone lives! also i am doin a vortech s trim 8psi of boost! 2nd moes heard nothing but good things, even taking mine to them soon!!!!! Mo's for sure.Also they not really that far to drive there.Just made the trip to get my 89. 3.5 hrs round trip towing and little jawin. Last edited by waypastcrazy; 03-12-2012 at 03:12 AM. Since i own this car now, I need some tuning help. the car is running lean and has lots of detenation. i need a place that can do a good email tune to get me started and has very good support. I went with vmptuning on my f150 but he seems not very helpful and short in emails. Any ideas? I seen mo's but cant find a website or email..